Mia has to be one of the coolest girls around. This Summerville High School student agreed to model for some portraits so I could test some new equipment. She was the perfect choice for several reasons. First of all, there is no denying that she is gorgeous. And second, she has that awesome quality of being both a tom boy who is not afraid to get her hands dirty and being a girly girl who likes to dress up. Mia takes auto shop and knows her way around a car. In fact, the day of this shoot, she competed in the Occupational Olympics in the auto shop competition and kept her hair neat and in place all day! And that brings me to reason number three…she has an awesome car. Her 1960’s era Mustang is one of my favorites. Mia had some awesome wardrobe choices. We wandered around inside the auto shop and then moved outside for some golden sun shots. And of course the car made it in a few photos too! Madeline - WOW! These senior portraits are amazing! Love your model, the styling, the location, the lightning, everything! I’m sure the Summerville High School students will be lining up for their Senior Session with you after seeing this! Lisa Beckett - Wow! I would’ve killed to have senior potraits like this. Beautiful senior potraits and beautiful model! 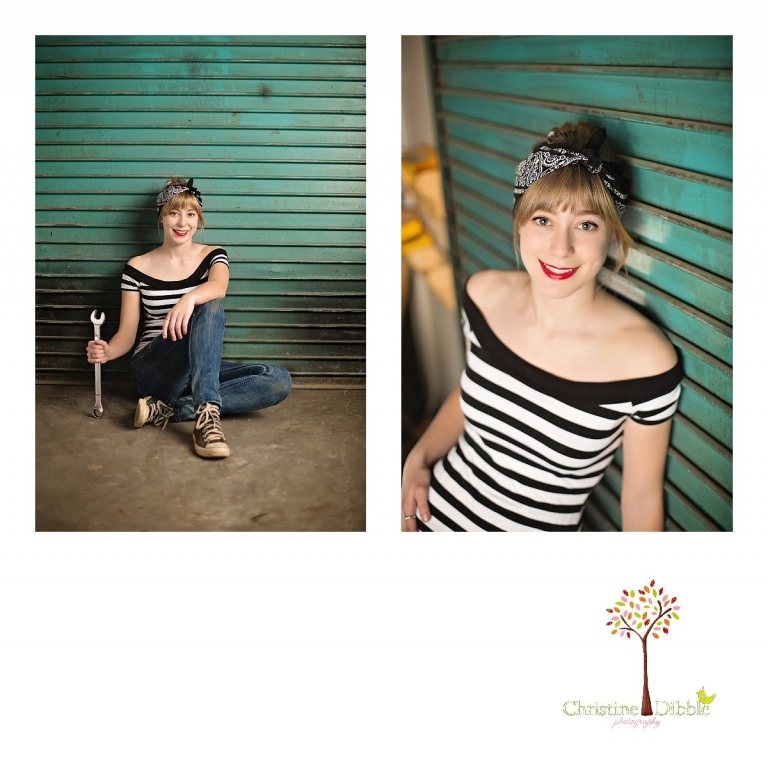 You did an awesome job styling this senior session. I’m sure the seniors at Summerville High School are booking with you all the time. hannah - Oh my goodness, how cool is this girl?! These senior portraits are awesome, I love that they are so unique. I hope all the high school seniors in Sonora book you! Michelle - This senior session just floored me !! You did an outstanding job on this senior session, MIA is such a beautiful young lady with such great character about her!! I love the different ways you captured her personality!! I love that fact you told a picture of the Mustang!! I am on my fourth Mustang!! Where where you when I needed my senior pictures ?? Christine Dibble , the Summerville High School area and Sonora CA are truly lucky to have such a talented photographer !! Melissa - Beautiful crisp shots and backdrops! Your scenery and setup is dreamy! If I lived I’m Summerville….I’d be looking you up for my son when its time for senior photography ! Diane Bartoo - Outstanding senior portraiture! Love every one of these – a big wow! Christine Dibble, you are a truly versatile photographer, Sonora Ca is lucky to have you. Danielle - Wow! 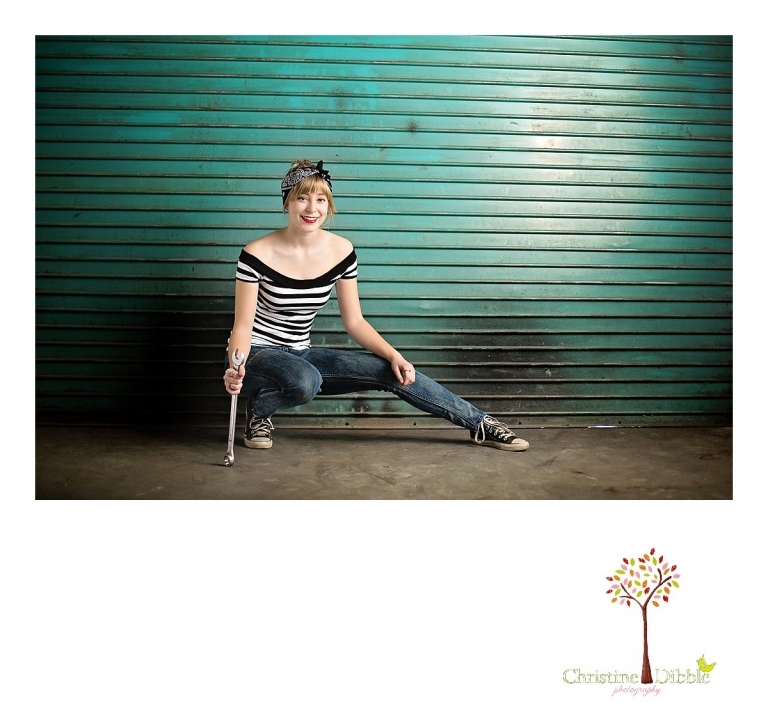 This looks like such a fun senior photo shoot with a beautiful Summerville High School girl! I absolutely love the juxtaposition of her girly dress and the hard, dirty background. That second to last shot of her in her Mustang is one of my favorite senior photos I have seen! Fabulous work by a talented Sonora, CA Photographer! Sarah - beautiful! love these senior portraits! you are such a talented Sonora photographer! Stepahnie - Newborn Photographer - Too bad you are all the way in Sonora, California because you are a fabulous senior portrait photographer! I love the way you captured your high school senior’s personality so vividly with the pops of coulours, the gorgeous natural creamy haze, and those piercing eyes! I am definately pinning this for inspiration! Amy - Gorgeous! These are so creative and fun. Beautiful girl and amazing work. Shannon - Gorgeous senior photos!! Very modern and edgy. I wish I were Sonoma!